I am categorizing crispy roasted chickpeas in the same category as kale chips — they look, and sound, super easy to make, but it takes a few tries to get them just right. So, basically, what I am saying is, do not get discouraged if they do not come out correctly the first time. I have made them for the past two years and have just found a combination I like enough to feel compfortable sharing it with you. Remember, every oven is different, and whether it is gas or electric, I truely believe makes them cook differently — and I should know because I have an electric stove and my dad as a gas one and I have to alter times and temperrature slightly when I cook. 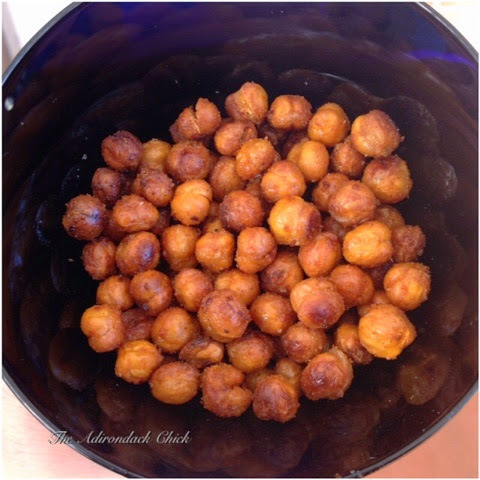 I like to keep these with me as a protein-packed snack especially when I am on the go. I put them in a container and keep them in the car, especially if I know I am going to be hungry later in there will not be many options. You can play around with different spices, but right now my favorite is the one I am sharing — sea salt and paprika with a little bit of aleppo pepper from Penzeys Spices. Don’t worry if you cannot find aleppo pepper, just substitute another hot pepper of choice. One other tip before I forget! Many cooks will tell you to just double the recipe. I am not one of those. This is for several reasons — I think they cook better in small batchs where they have room to spread out on the baking sheet, they stay fresher if you are the only one eating them, and the oil/spice ratio just never seems right in a double batch. It may take a little extra work, but if you are making them for a large crowd or family, just make two separate batches. Trust me on this one, as I have made this mistake numerous time. Oh, and yes, these are both vegan and gluten free! 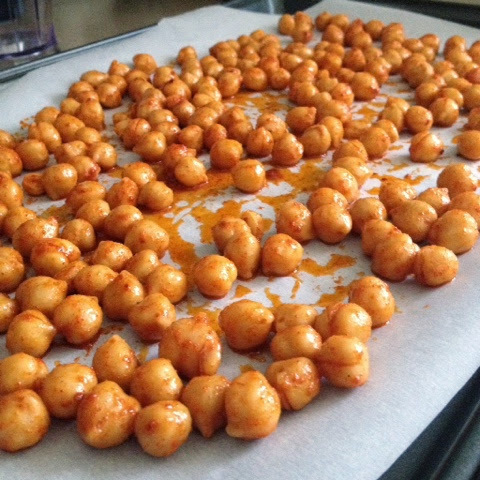 Preheat the oven to 400 degrees, and line a baking sheet with parchment paper. 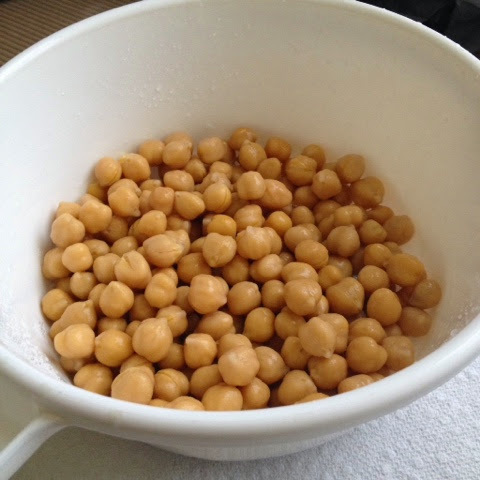 Drain and rinse the chickpeas. Then spread out on papper towels and dry. 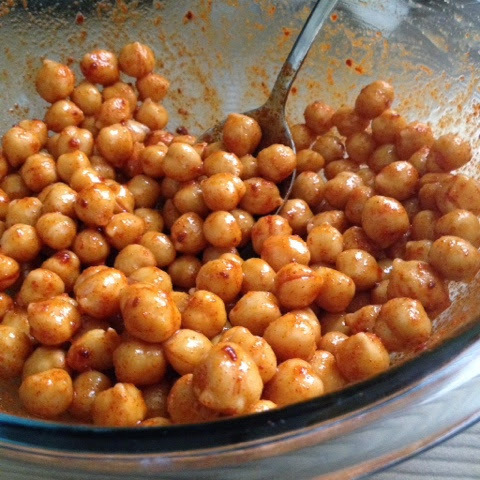 Transfer to a large bowl and add the oilve oil, salt and paprika (and the aleppo pepper if using it). Spread out evenly on the parchment paper, and bake for 30-40 minutes or unrtil crispy, but not burnt. It all ought to be an item they'll take advantage of. Whenever trying out a good fake rolex sale web-based supermarket, commence together with the electronic products space. Gents really love machines together with products and services utilizing the current technological innovation. Irrespective of whether fake chanel sale it’s a completely new imaginative mobile, a good MOVIE subject as well as a Co footballer, individuals are sure to come during benefit from for it. – Chanel a pair of. 52 Sacks. For those times you prefer merely one of the best to your boy or girl, Livie together with Luca boy or girl boots and shoes may well rolex replica sale likely get one of the best possibility in your kid’s lower limb dress in – Chanel Sacks. Cost effective Chanel designer purse is certainly regarding fabulous great deals. You might fake chanel sale will need to prioritize your family needs. You’ll choose to at the same time call for by your personally what precisely we can easily identify the audemars piguet replica sale profit meant for. People warranty you must find one of the best Chanel designer purses inside our retail outlet. We offer various different types of cost-effective UGG Effortless Sneaker workout shoes. At the same time that will gear, any solid incorporates shopping bags, boots and shoes together with gradations.